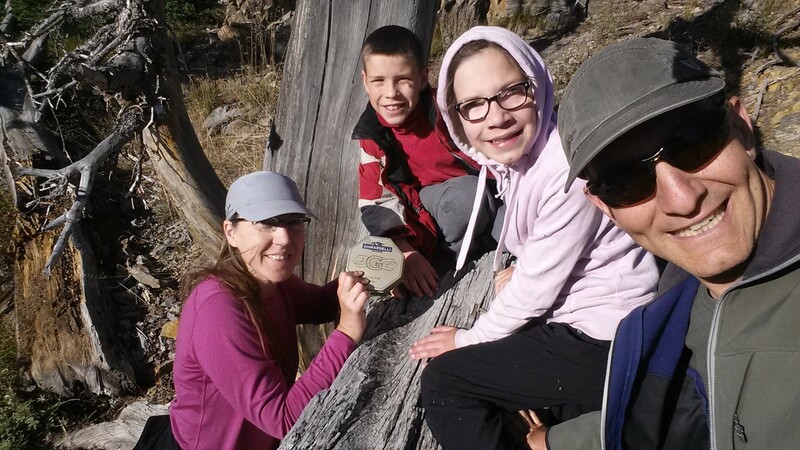 Pioneer Cabin: finding a geocache with my husband and children. September 20th, 2016: Trustee Interview Introduction. September 28th, 2016: Letter to the Editor. In spite of four Zone 3 residents applying for the vacant School Board seat, the sitting trustees were unable to come to a consensus on September 20th and failed to appoint a new Trustee. The webcast of the applicant interviews can be seen here. The last fifteen minutes display the deliberations by the trustees. Today, in accordance with state statutes, the volunteer position opens to applicants from all five school board zones in Blaine County. Any previous applicants wishing to continue are required to submit another Letter of Interest. This is my Letter of Interest to be appointed to the vacant BCSD Board of Trustees Zone 3 seat. The residents of Zone 3 deserve representation by a resident from Zone 3. Four Zone 3 candidates have come forward willing to serve. It is the responsibility of the sitting trustees to appoint a fifth trustee. I challenge the trustees to deliberate on November 3rd until a choice is made and to not abdicate your responsibility to the Blaine County Commissioners. My two children have been continuously enrolled in BCSD schools since 2007 when my daughter entered Kindergarten. With my husband, I am a local business owner of Ketchum Computers. I am also a freelance writer. I bring the perspective of parents, business owners, and the community at large. And this is who the School Board of Trustees represents: the entire community, because the entire community benefits from excellent education in our schools. Not many people are willing to serve on the School Board with the current conflicts, which include: stalemates on Board votes, administrators angry with Board decisions, and Teamsters attempting to take over Board working sessions. I am one of the few willing to serve the Blaine County community through being willing to serve on the School Board of Trustees as the representative of Zone 3 residents. I promise to deliberate with integrity and vote in ways that promote excellent education to all BCSD students. And maybe that is just what is needed to remove the appearance of factions on the Board and truly serve the students of Blaine County and their families. I am writing to inform you of my interest in being appointed to the Zone 3 Trustee seat. My husband and I have been residents of Blaine County since 2004. We have thoroughly enjoyed and appreciated Blaine County public schools for both of our children ever since our daughter began Kindergarten at Hailey Elementary in 2007. Our daughter entered Wood River High School this September and our son entered Wood River Middle School. I was an Officer of the Hailey Elementary School PTA Board for a number of years. I have also expressed interest in School District affairs through my involvement with BlaineParents.org. Through these experiences and others, I have learned that it is best to work cooperatively with all people. An example of my win-win style of problem-solving can be seen in my Guest Opinion published in the August 24th issue of the Mt. Express: Schools need locker rooms safe for all. The primary objective of any school district is to provide excellent education for all its students. As the Trustee for Zone 3 of the Blaine County School District, I would strive to work cooperatively toward practical solutions which safeguard and promote excellent education for all students. I look forward to meeting with you on September 20th.